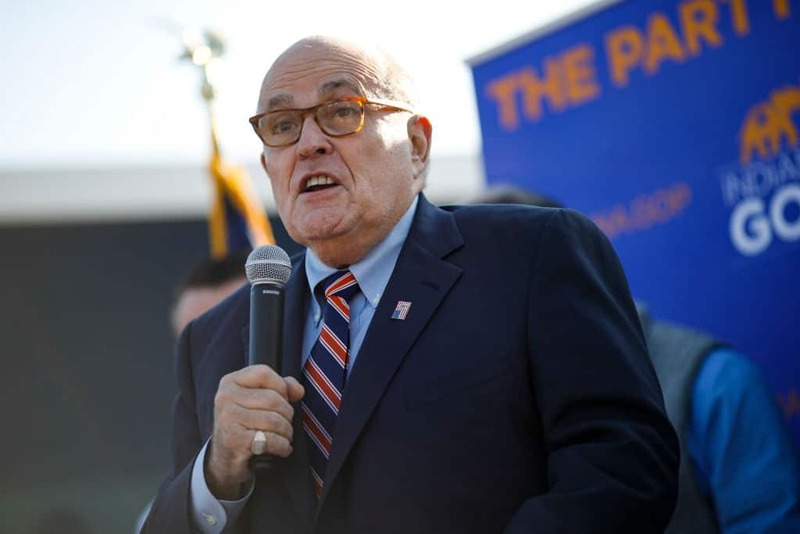 Ever since Rudy Giuliani made a series of gaffes and embarrassing comments on behalf of President Donald Trump earlier this year, he’s been noticeably absent from additional television appearances. Rumors abound that Giuliani’s disappearance had come about due to Trump’s own decision not to let his own personal lawyer speak publicly. That line of thinking makes sense — Giuliani frequently made mistakes on live TV that made Trump look bad, especially in light of the Russia investigation being led by special counsel Robert Mueller. In his most recent appearance, Giuliani, speaking on both NBC’s “Meet the Press” and CNN’s “State of the Union,” stated that negotiations to build a Trump Tower in Moscow lasted well into the presidential campaign, through at least November 2016, a timeline that extends long after what the Trump administration and campaign had previously claimed. On Jan. 20, Rudy Giuliani tripped over himself by saying the Trump Tower Moscow talks may have lasted up until November 2016. Trump added that he didn’t even think a location for his tower was discussed. However, that contradicted what additional reporting from BuzzFeed News uncovered around that same time. Not only had hundreds of documents about the proposed tower been shared between the Trump Organization and Moscow, but possible sites for the project were also mapped out by Trump’s company. Since that time, Giuliani has been mum about anything related to Trump’s defense of the ongoing Mueller investigation. When Axios reached out to Giuliani about his silence, Trump’s lawyer denied it had anything to do with his previous gaffes. Instead, Giuliani suggested a decision for him to stay quiet came about because they figured the investigation was close to being finished. When asked if his “silent treatment” to the media had paid off, Giuliani suggested it had.